When I saw that error I had no clue what was happening. I thought maybe there could be a virus giving us this issue. However I had run a quick scan with Malwarebytes before , and it didn’t find any objects. Also, the laptop was very fast. I decided to try reset Internet Explorer to its defaults (including erasing personal settings) – it didn’t fix the issue. I was practically stomped. Then I opened Google Chrome and the same thing was happening. Google Chrome’s error message was a lot more helpful. I started looking around and decided this error might have something to do with the antivirus software running on the laptop. The laptop had Kaspersky Internet Security 2013 installed. I started disabling the Antivirus protection and some of the other settings. I saved those settings and opened Google Chrome and Internet Explorer. 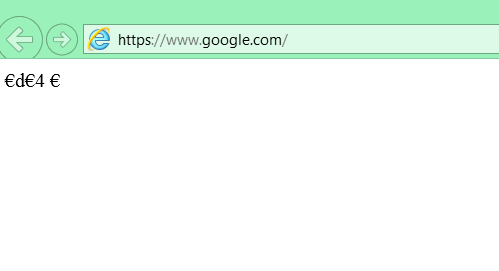 I went to Google.com and the site loaded in both browsers. I used the process of elimination until I came upon the culprit that was blocking Google.com and Gmail. Here is the steps I found to work. Attn: This is a workaround, do this at your own risk. Step One: Close all open Internet browsers. Open your Kaspersky control panel and click Settings. Then go to the Advanced Settings tab and click on Network. Under the “Encrypted connections scan ” uncheck Scan encrypted connections. Click Apply and OK. Step Two: Close the control panel and open your browser. Try going to Google.com, if it works you are good to go. If you can’t go to Google.com, restart your computer and it should take care of the issue. I tried to reinstall the certificates in the browsers since that seemed to be why I was got that error. When I opened the browser I got the same error. At this point,I believe there is a certificate conflict between Kaspersky and the browsers. If you update to the 2014 version there is a possibility that would fix this issue. I personally don’t think it is a big deal to keep “scan encrypted connections” unchecked. This only disables that feature. You still have virus protection and a firewall for your computer. I “Googled” the issue that I was having and Kaspersky has a forum thread full with this issue. Check it out if you want more information. 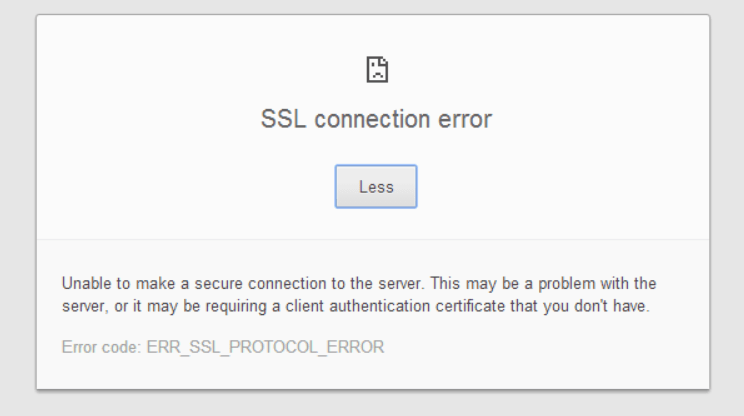 This entry was posted in Troubleshooting and tagged Google Chrome, Internet Explorer, Kaspersky Internet Security 2013, SSL connection error on March 13, 2014 by Merlin Halteman.